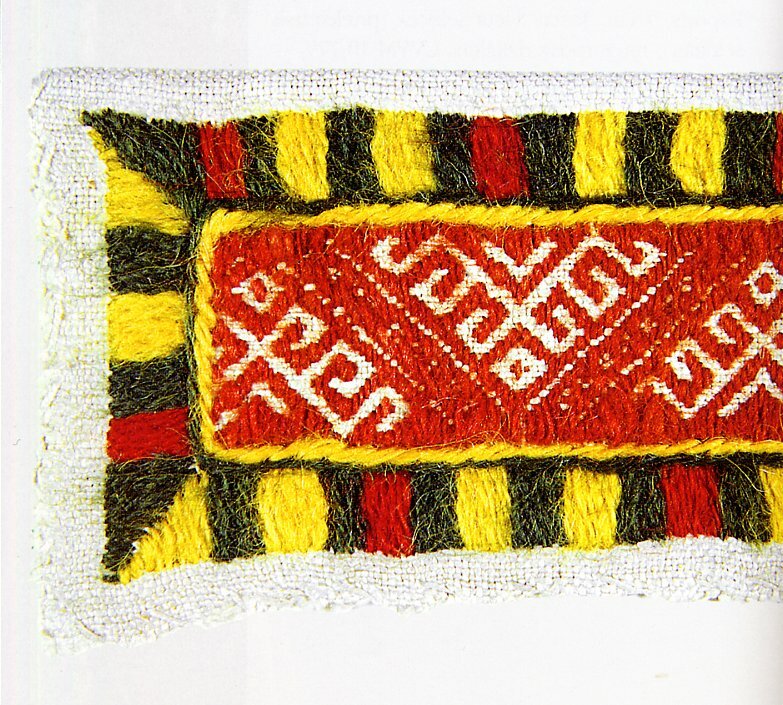 Today i am going to cover a costume of the last Latvian Province, Augšzeme or Selonia. 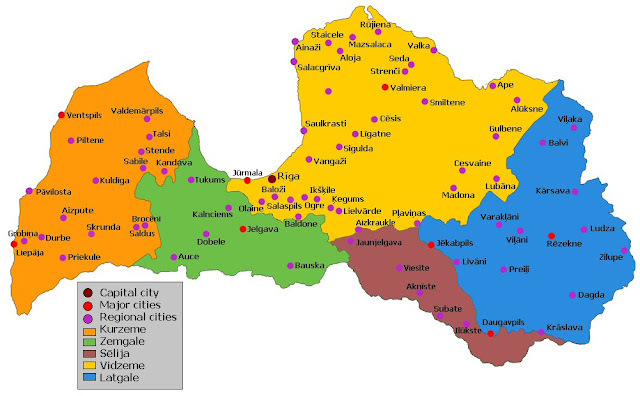 This is considered to be a cultural region by historians and ethnographers, but it is not recognised politically. 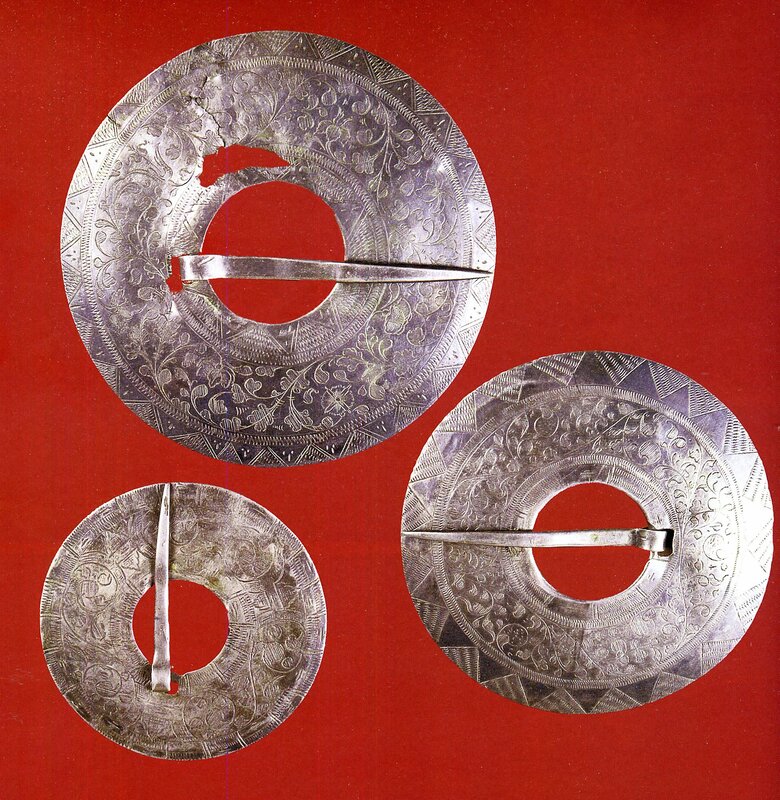 The Selonians were one of the Baltic Tribes known in the 13th cent. They have been assimilated into the Latvian and Lithuanian peoples, but traces of their culture and language remain in Augšzeme, and also in part of Aukštaitia in Lithuania. Here is a short article on the Selonians, a more extensive article on the history of Latvian ethnic groups and a historical map. I am going to cover a woman's costume that has interesting embroidery. Like most of my postings, this will not be exhaustive of the province. This is an old costume from the area around Krustpils. She is wearing an old chemise from Viecpiebalga. This costume falls very much into the east Latvian tradition. Let us look at the various parts of it. 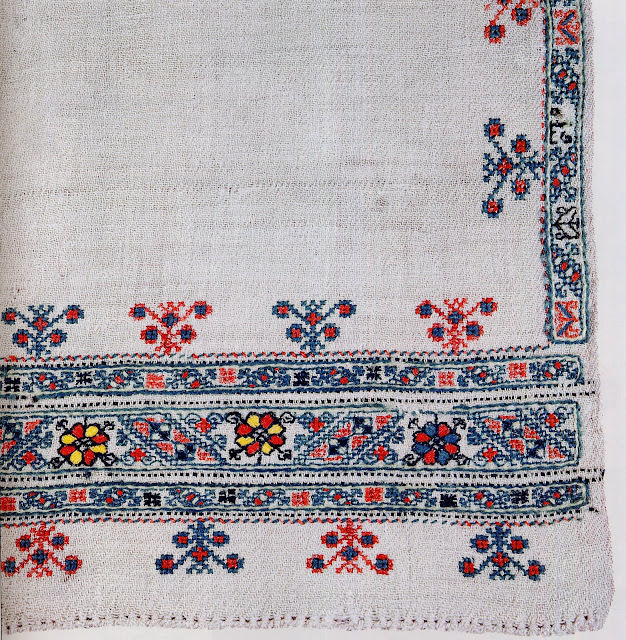 The skirt is one of the three types typical of Augšzeme. If you look closely, you will see pale designs on the orange stripes. 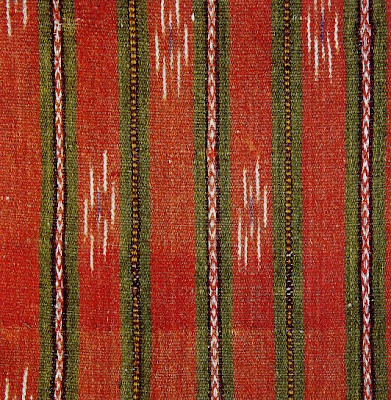 These are simple ikat designs. 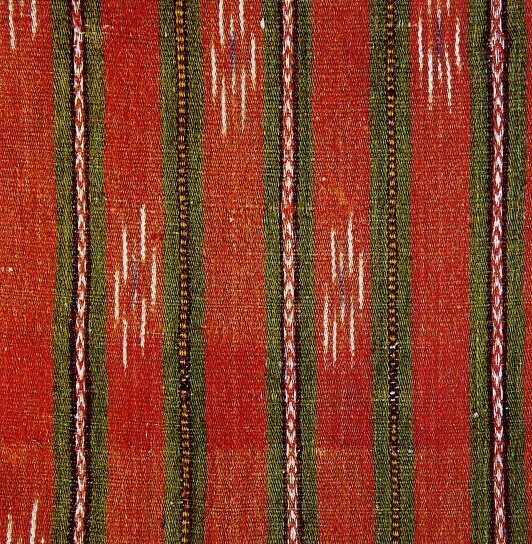 Ikat is a type of ornament in which the threads are tie dyed before being woven. Here is a closeup. The Josta, or sash, is quite unusual. Like the sashes from Zemgale, it has three bands, like the sashes from Lielvarde, the central band has various designs woven into it along its length. 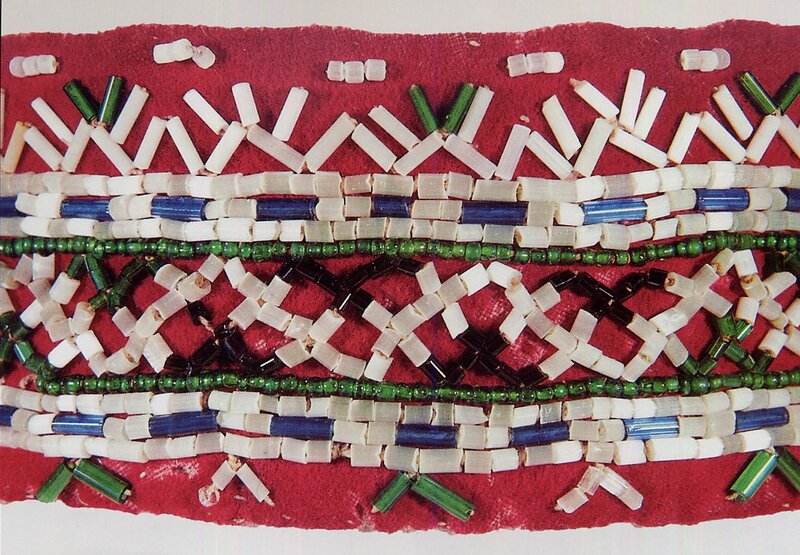 What is truly odd is that the side designs seem to be card woven, while the central design seems to be inkle woven. I do not know enough about weaving to explain this. Perhaps a weaver among my readers could clear this up for us. You can click on this, or any image in my blogs and see it more closely. 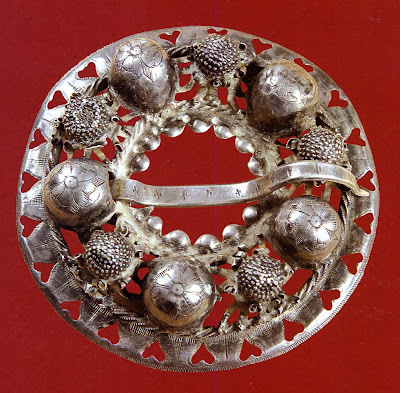 The Vainags, the maiden's crown is typical for east Latvia. 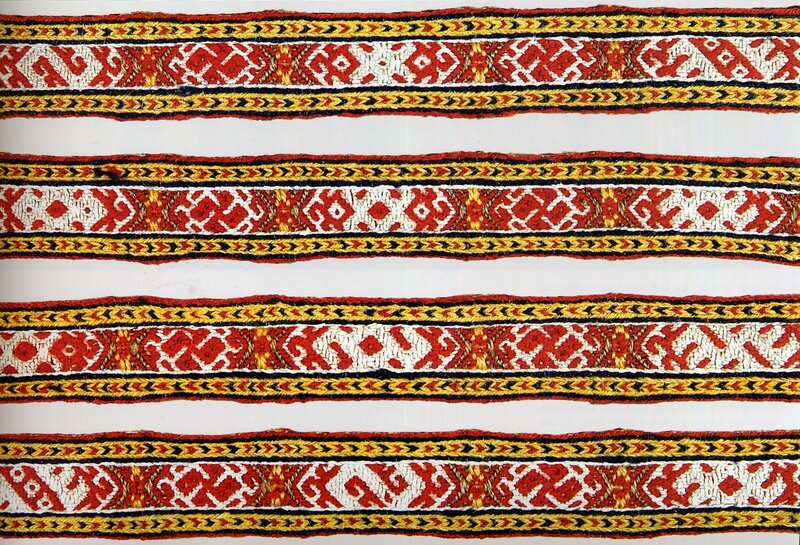 Sometimes in Selonia they use a narrow crown with ribbon attached to the upper edge, somewhat reminiscent of the crowns of Lithuania, just to the south. The Villaine, or wrap, has the overall look of east Latvia. 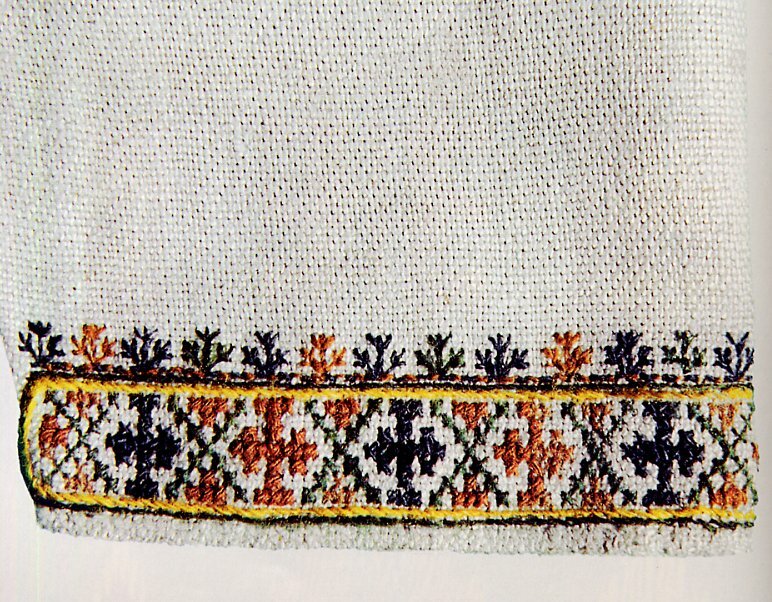 It is woven of wool twill, with typical wide embroidery bands across the short ends, as in Latgale or east Vidzeme. 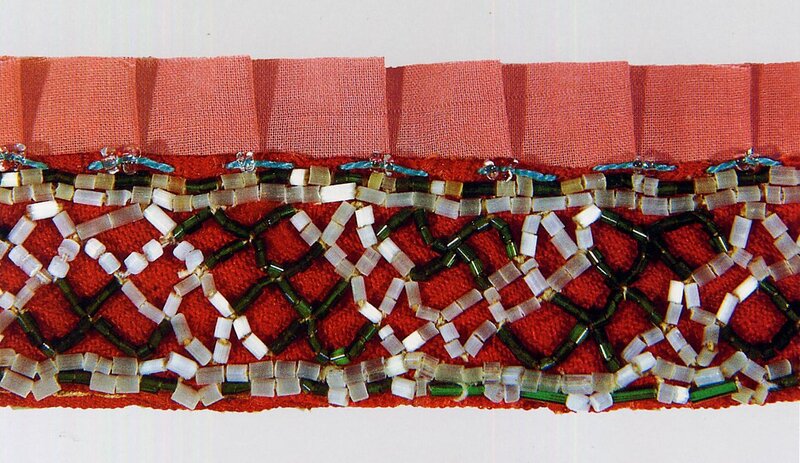 It has a narrow card woven band appliqued around the edges, and on the inner edge also a silk ribbon. It has multicolor fringes on the short ends, as in Zemgale. 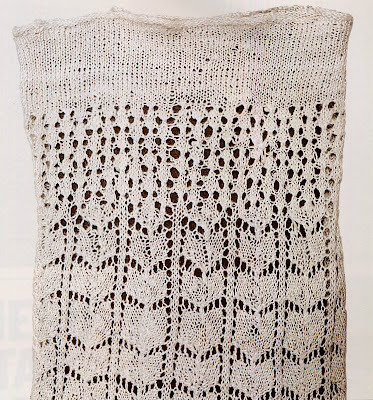 It is in the traditional natural dyed color scheme. The main motif of the embroidery is green clover leaves. Here is another example of a Villaine from the area which is more simply ornamented. There was never complete uniformity in any region, people expressed themselves with variations within the local tradition. 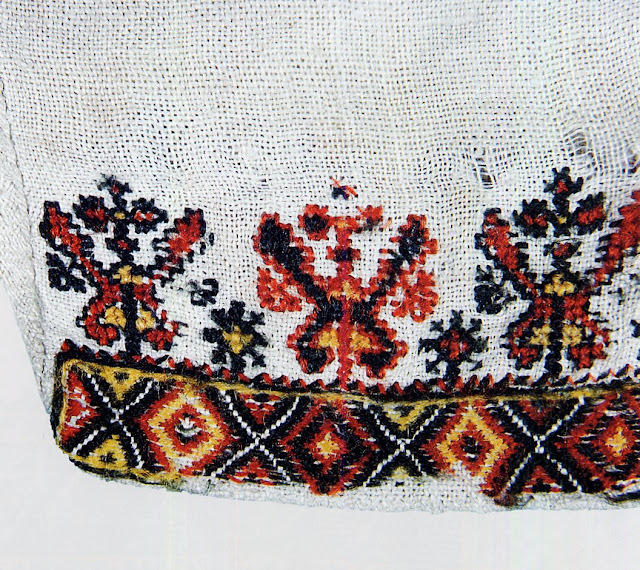 The chemise, or krekls is the basic unit of the costume. There are a few examples from this area which are unusual for Latvia. The chemise is cut with a shoulder inset sewn at the sides of the body, and the entire garment is then smocked into the collar. The sleeves are cut at an angle which narrows at the wrists, and there is no added cuff. The embroidery that has been collected has been cut off of the chemises, so we actually have no complete garment. 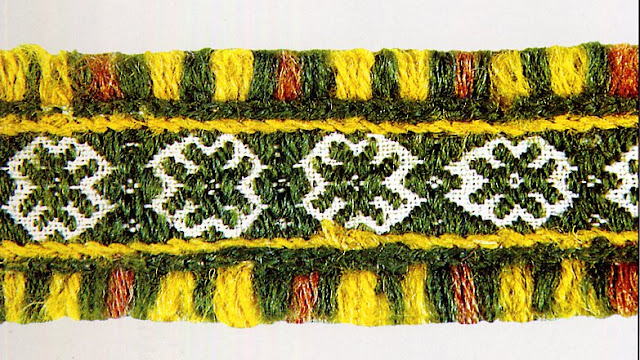 Here are three examples of embroidered collars. This first one is the one which you can see in the photo above. 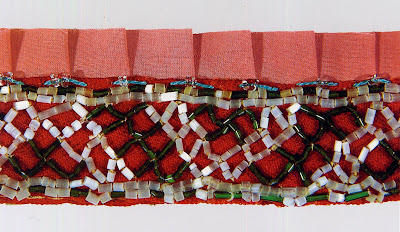 ﻿Darning stitch, edged with two rows of stem or back stitch, and then satin or buttonhole stitch around the edges. 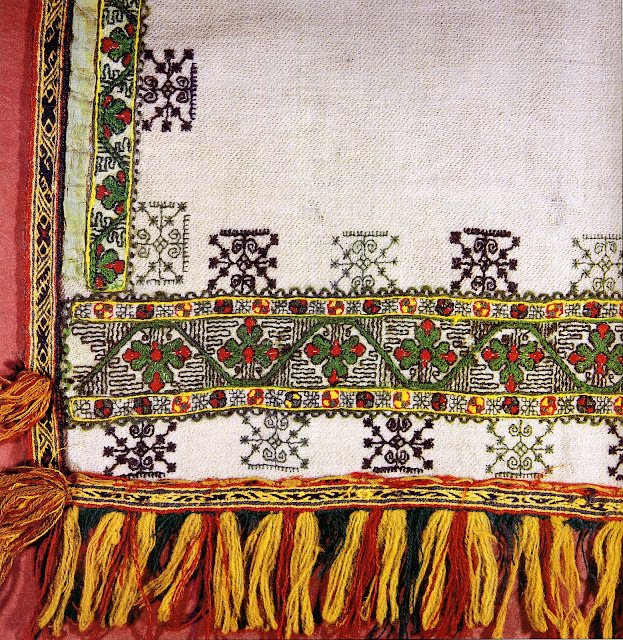 This arrangement is remiscent of the embroidery on the Villaine. A second example. A different design, but the same format. Here is a third, somewhat more elaborate example. As you can see, this was cut right off a chemise without even an attempt to secure the raw edges. The only thing the collector was concerned about was the embroidery. 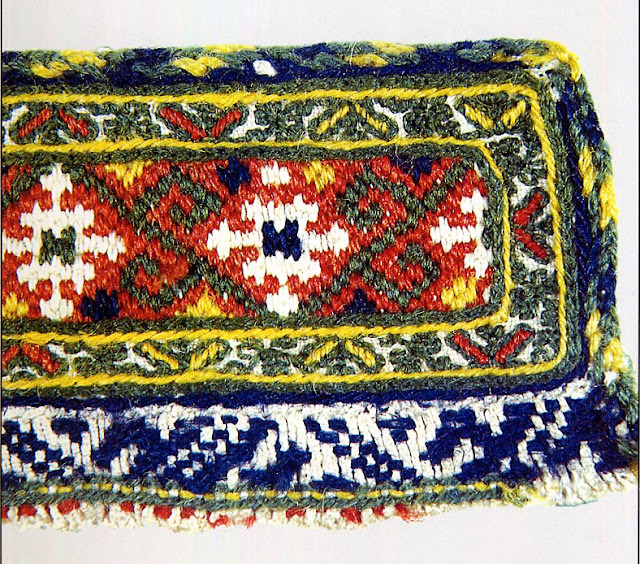 The main motif here is made of bargello or brick stitch, with the normal border, then a narrow design in outline stitch, with some of the fields filled in, surrounded by herringbone, with a braid appliqued around the edge. There is also embroidery over the smocking of the shirt body. This is quite common, but is unique in Latvia. 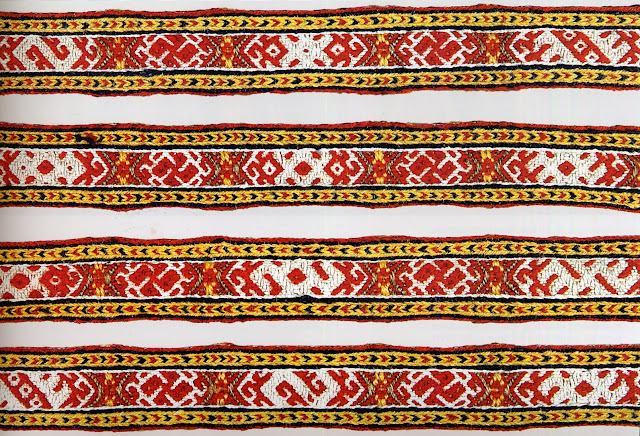 It reminds me of chemise embroidery from southwest Karelia and Ingria. 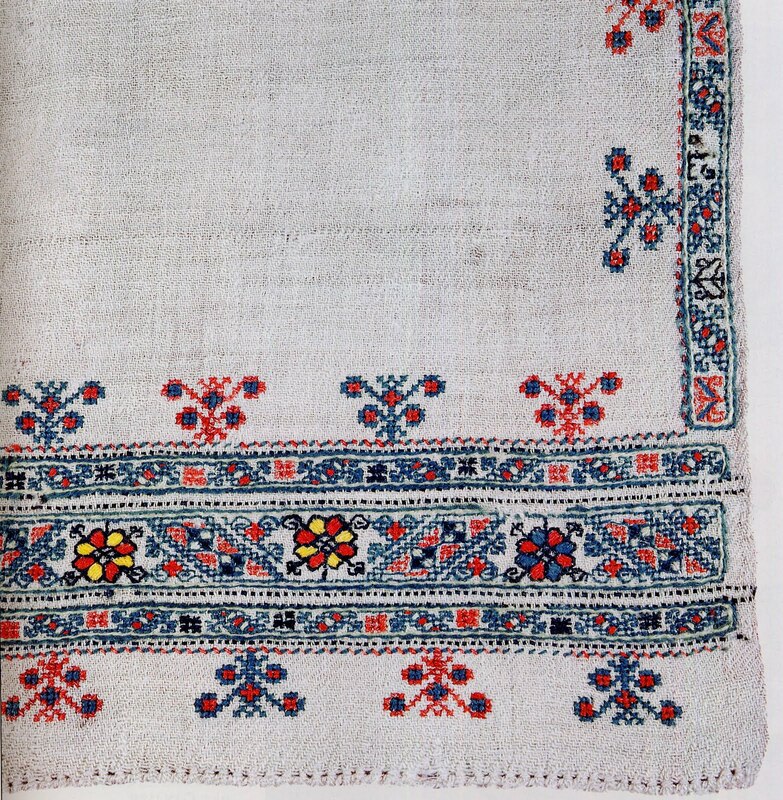 I have to wonder is this is from the Votic community which is known to have existed in south central Latvia. 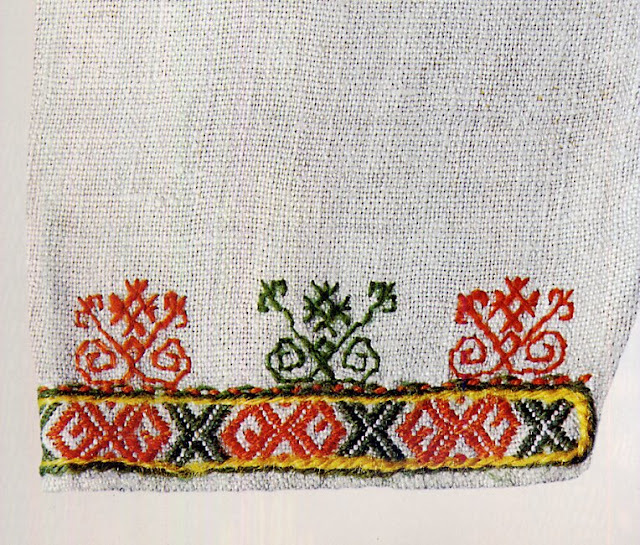 Here are three examples of the sleeve end embroidery. Here we have a brick stitch design, with the normal outline, and then 'trees' made of outline stitch, very reminiscent of the side desingns on the Villaine. this one likely came off the same garment as the second collar. 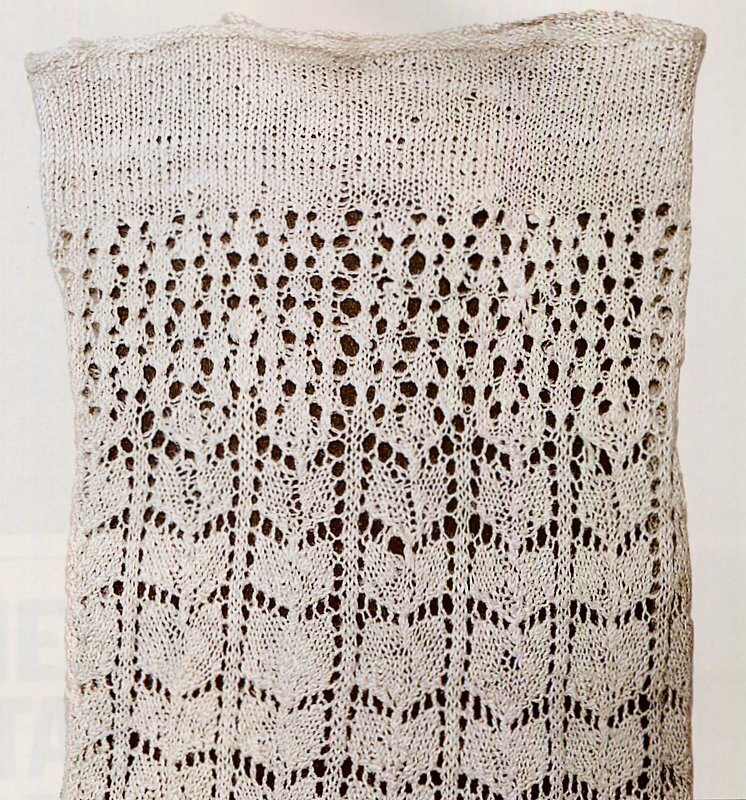 Here the central design is in cross stitch, and the 'trees' have been greatly reduced. In this one, the main design is in bargello stitch, and the 'trees' are made mostly of cross stitch. In fact, they greatly resemble the 'trees' embroidered on the second Villaine above. Pastalas [moccasins], Vizes [shoes woven of birch or linden bark] or shoes, depending on the occasion and the wealth of the wearer. Here is a pair of Pastalas from this area, not really distinct from other regions. The same round pins are used to hold the neck of the chemise closed as in other regions. Both Bubble brooches and flat engraved brooches are worn in this region. I hope you have enjoyed this, and have found some inspiration from it. What sometimes happens when only a little material is known from a region, is that the 1 or 2 embroidery designs become fixed as the only 'correct' ones. This happened with some Bunads of Norway. 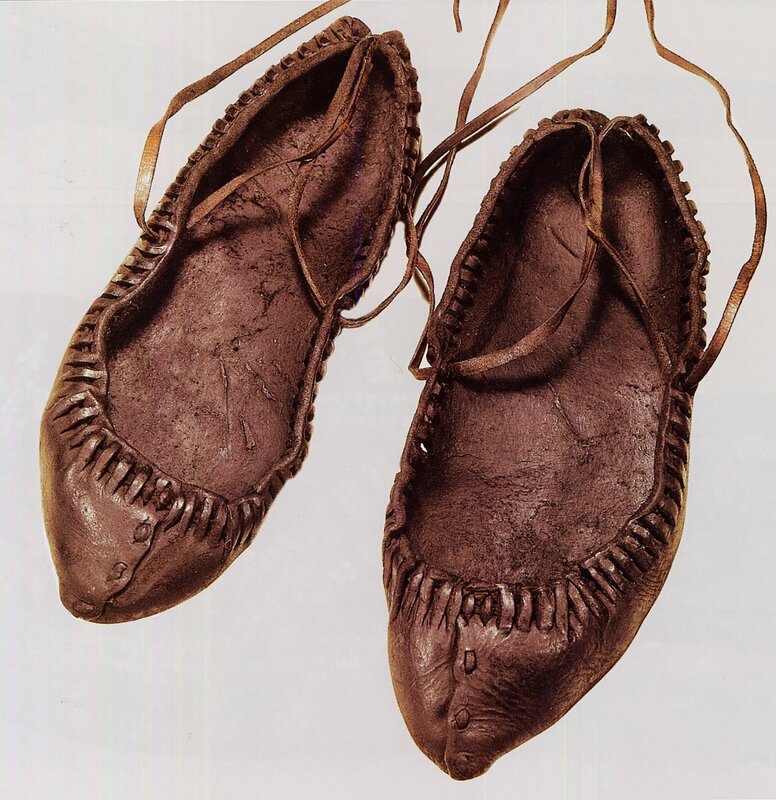 In fact, of course, in any living tradition there are many designs within a local style. 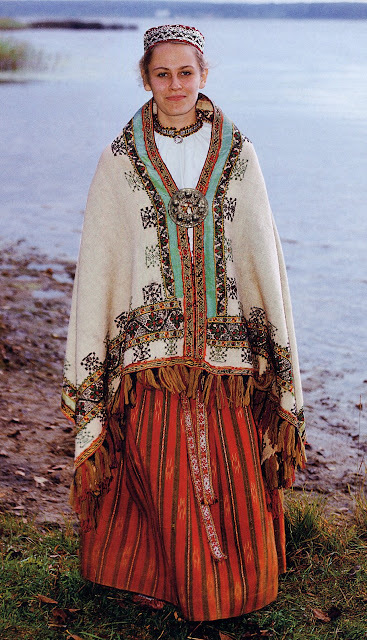 Even in Norway, in the regions which have kept their traditions alive, such as Hordaland and Telemark, there is quite a bit of variety, although visibly similar. I would hope that someone would develop more possible chemise embroidery, in the same way that the individuals in the village would. Labdien. Loti interesanti! Es mekleju ka taisit pastalas. Vai jus zinatu kur as varu dabut "pattern" ? Hello! You have rely good articles on Latvian costumes. The belt in the picture above is entirety card woven. 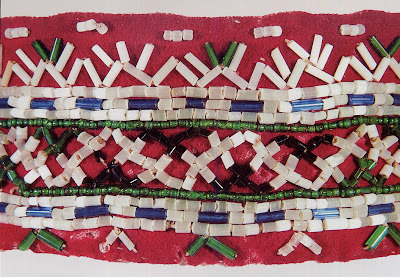 The central, more complicated design is often achieved by using only 2 threads in every tablet, while the side pattern is created with 4 threads in every tablet.